Note: Screen captures came from the Blu-ray copy and does not represent how the 4K might look. Also, portions were copied from my Blu-ray review. 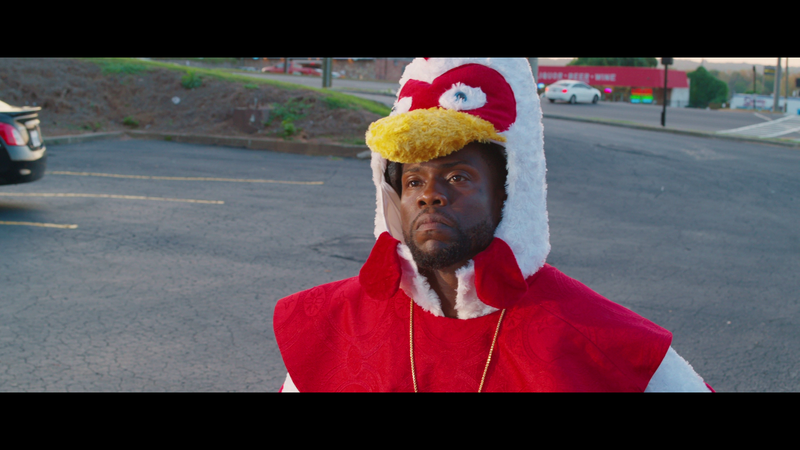 Plot Synopsis: When accidentally destroying his workplace gets salesman Teddy (KEVIN HART) fired, he can’t find another decent job unless he finally gets his GED. But two major things stand in his way: Carrie (TIFFANY HADDISH), a teacher with no time for grown-up class clowns, and Stewart (TARAN KILLAM), Teddy’s high school nemesis-turned-principal who will do anything to see him fail. Now every school rule is about to be broken when they all go head-to-head in a wild battle of wits, pranks, and lessons you can’t learn in books. The biggest issue, beyond some surprisingly bad or lazy performances from an otherwise talented cast is the jokes, or “jokes” I mean, go on too long. For instance, early on in the film, there’s a dinner scene in which, stuck with a large bill, Teddy decides to get out of it by planting pubic hair on a piece of desert. F*cking Hilarious. Anyway, it’s a scene that could’ve easily been cut down and this is only one of many that stretched this to a nearly two hour running time when 90-minutes would’ve been sufficient, albeit the only effect would’ve been to put me out of my misery.. The movie was directed by Malcolm D. Lee whose track record, at least for me, hasn’t been the best. Along with the aforementioned Girls Trip, Lee also helmed such comedy greats like Undercover Brother, Scary Movie 5 and Barbershop: The Next Cut. High quality comedies. I would say I was disappointed but the trailers didn’t do much for me and even though I do generally like Kevin Hart, this material did not adhere to his talents. This release comes with a title-embossed slip cover and inside is a redemption code for the Digital HD copy. There is also an Extended Cut which runs about 5 minutes longer. Needless to say, I didn’t bother watching this version. Also, the 4K UHD disc has a Gag Reel “Extra Credit” (5:17) which is different from the one on the Blu-ray disc. 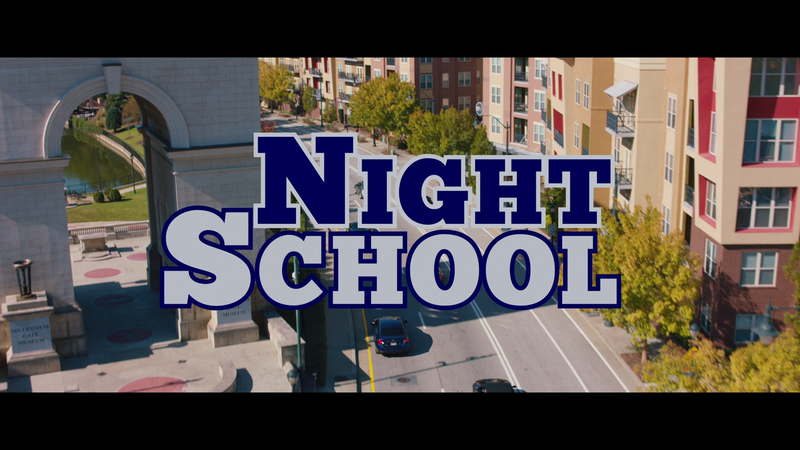 Night School’s In Session (13:33) is an introduction to the ensemble cast. Who’s the Student? Who’s the Teacher? (2:33) – Kevin Hart and Tiffany Haddish give their backstory on how they became “ride-or-die” friends more than a decade ago. Prom Night Revisited (3:07) featurette has the cast take a trip down memory lane talking about their own high school proms. Cap ‘n Gown ‘n Giggles (2:08) is on the cast and crew cracking up during Teddy’s “uplifting” graduation speech. Making of the Dance Battle (3:45) is a sneak peek into the dance rehearsal of the prom night dance battle. 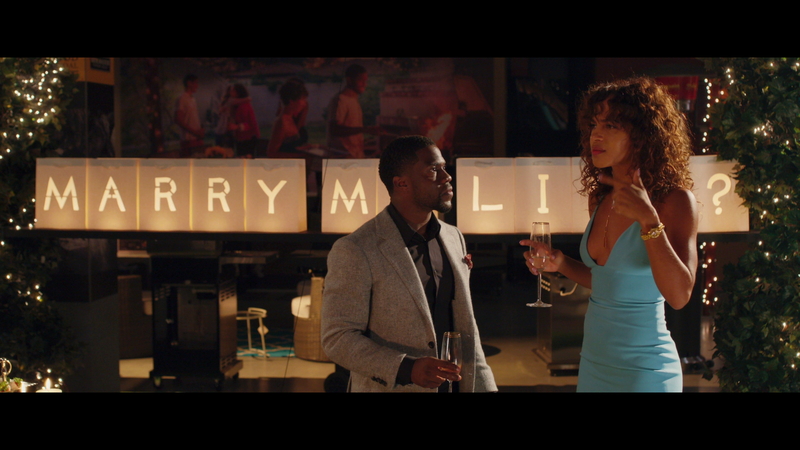 Game Over (1:46) is a chat with Hart, Yvonne Orji and Megalyn Echikunwoke on the complicated relationship between Maya and Teddy. There are 6 Deleted Scenes (13:27), an Alternate Opening (6:29) and, as you can imagine, a Gag Reel (11:04). Apparently the 4K version includes another Gag Reel. Last up is an Extended Performance of “El Sueno” (2:40). Universal releases Night School onto 4K Ultra HD shown in its original 2.39 widescreen aspect ratio and a 2160p high-definition transfer. Like its Blu-ray counterpart, the picture is sharp and well defined throughout and there were no apparent signs of aliasing or artifacts. Doing a comparison, I don’t see a night and day difference even with the addition of the HDR, the colors aren’t incredibly vibrant. Still, it is a very nice transfer, just compared with other 4Ks, this does not stand out. The release comes with an overly-robust but still nice DTS:X track which is a bit of an overkill yet there is good depth especially for the score and soundtrack along with the clear dialogue coming via the center channel. 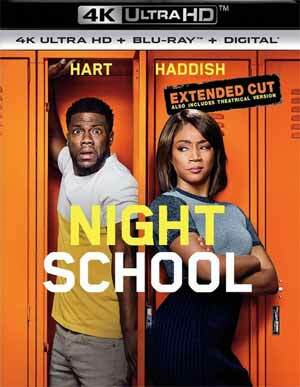 Overall, Night School is just a poorly made comedy, one which I did not laugh once and goes to show perhaps Kevin Hart’s limitations when he doesn’t have the right director, material and even ensemble cast to work off of. The Blu-ray release has great video/audio transfers and a good selection of bonus material.